We congratulate the twenty-one children who received the sacrament of Confirmation during 11am Mass on Sunday 11 May 2014 at St Michael’s Church, Kildysart. May the Holy Spirit always protect and bless the children, their parents and families. 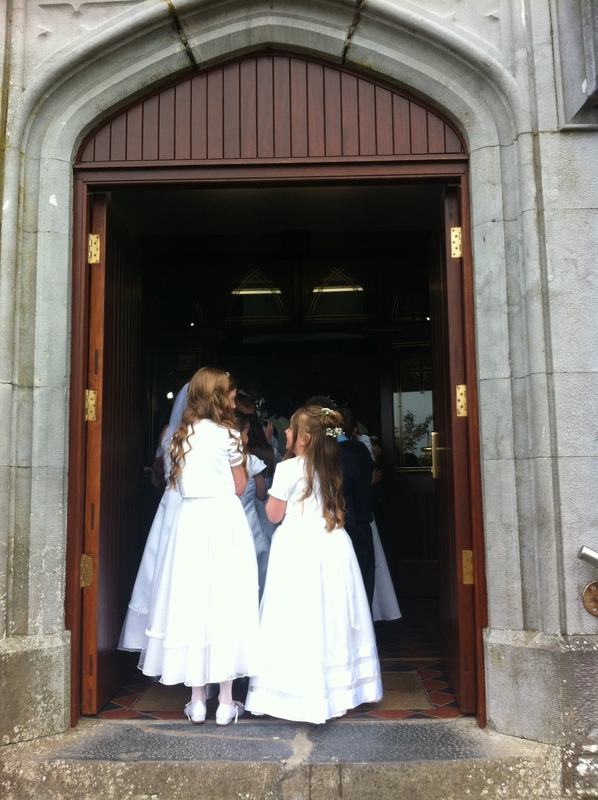 We congratulate the twenty-one children who received Holy Communion for the first time during 11am Mass on Sunday 4 May 2014 at St Michael’s Church, Kildysart. May the Lord always protect and bless the children, their parents and families. The year 2014 will be an important year for the children in our parish who will receives the Lord for the first time in Holy Communion on Sunday 4 May 2014 and for their families. First Holy Communion Sunday 4 May 2014 at 11am. A meeting for the parents of children who are preparing to receive Holy Communion for the first time this year will take place in the Community Centre, Kildysart at 8pm on Monday 23 September. Confirmation will be celebrated in St Michael’s Church, Kildysart on Sunday 11 May. A liturgy in preparation for the sacrament of confirmation will take place in St Michael’s Church, Kildysart on Thursday 10 April 2014 at 8pm. Parents, other family members and members of our parish are welcome to join the candidates for confirmation in this liturgy. A meeting for the parents of the young people preparing to receive the sacrament of confirmation will take place in the Community Centre, Kildysart on Tuesday 1 October at 8pm.